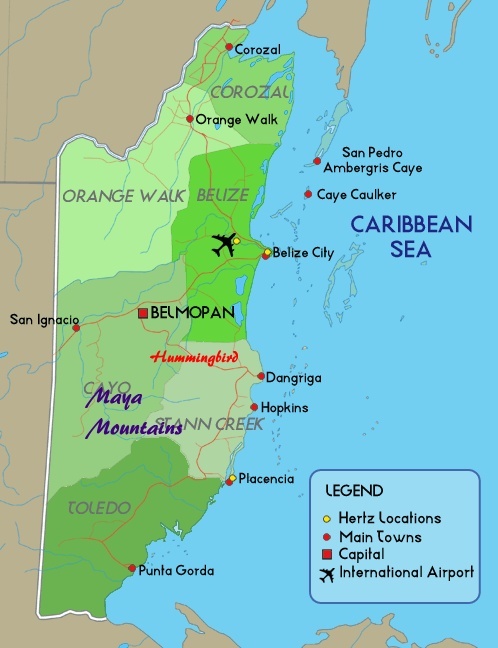 Belize is a small country with a handful of main roads – the Northern Highway, the Western Highway, the Southern Highway and the gorgeous Hummingbird over the Maya Mountains. 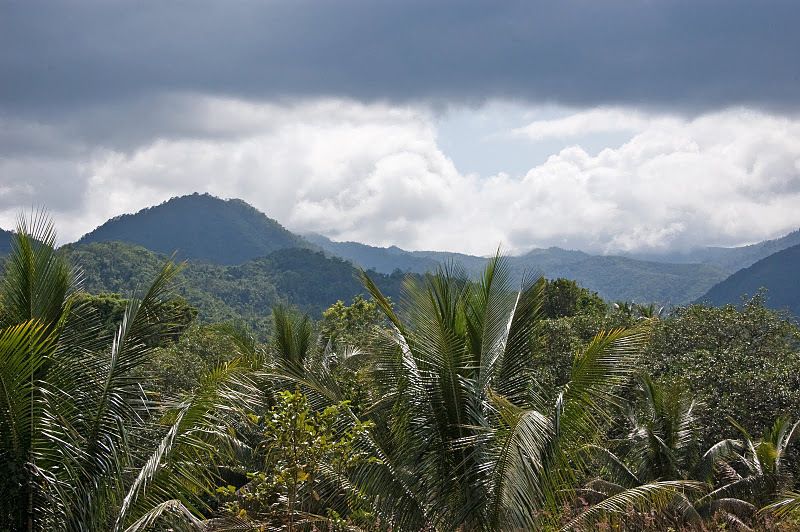 Here is a view from the Sleeping Giant Resort – you can see the highway on the left hand side of the picture. For about 55 miles, it twists and turns, rises up and plummets. 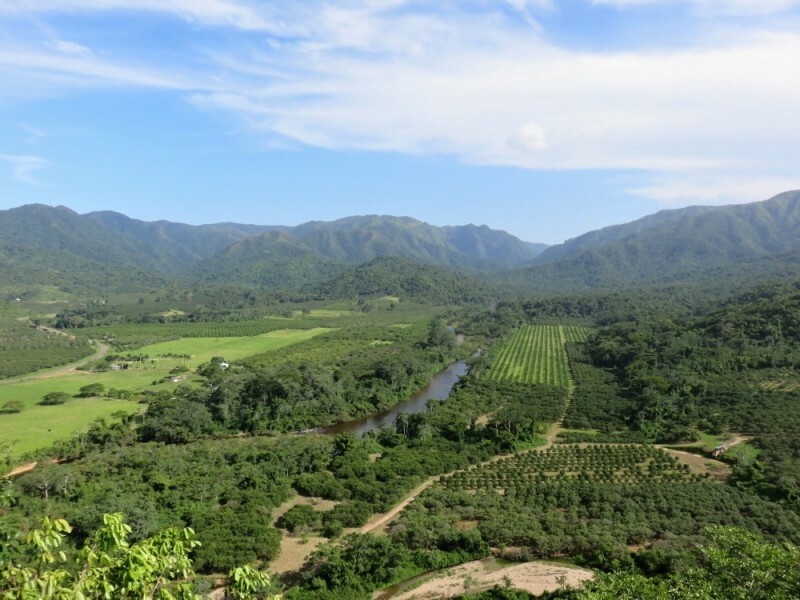 Through a few villages, untouched jungle in the highlands and miles of citrus in the valleys. 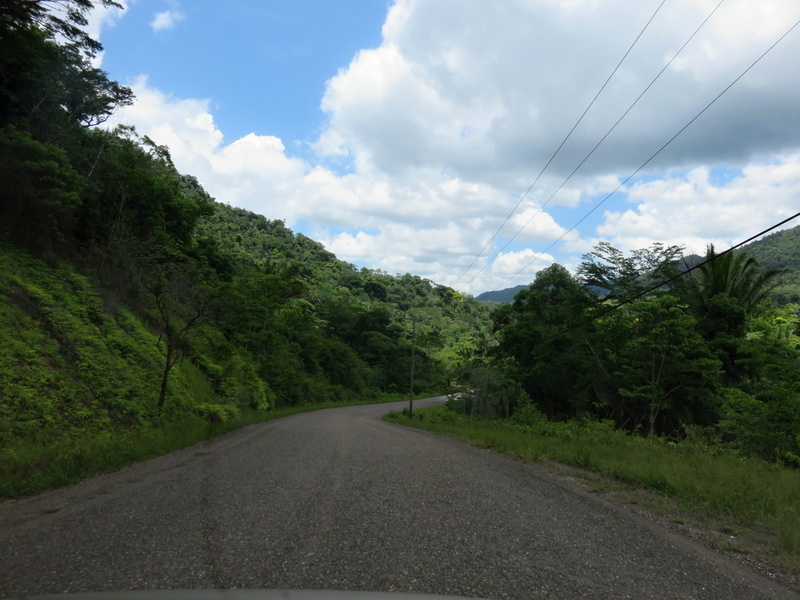 The road was only fully paved in 1994 – and there are still handful of one laned bridges left over from the days when this was used almost primarily for citrus transport down to Dangriga. It’s a gorgeous road. But my usual viewpoint is from the bus window. A lovely view for sure…but a mode of transportation that makes it impossible to jump out everywhere you want to stop. 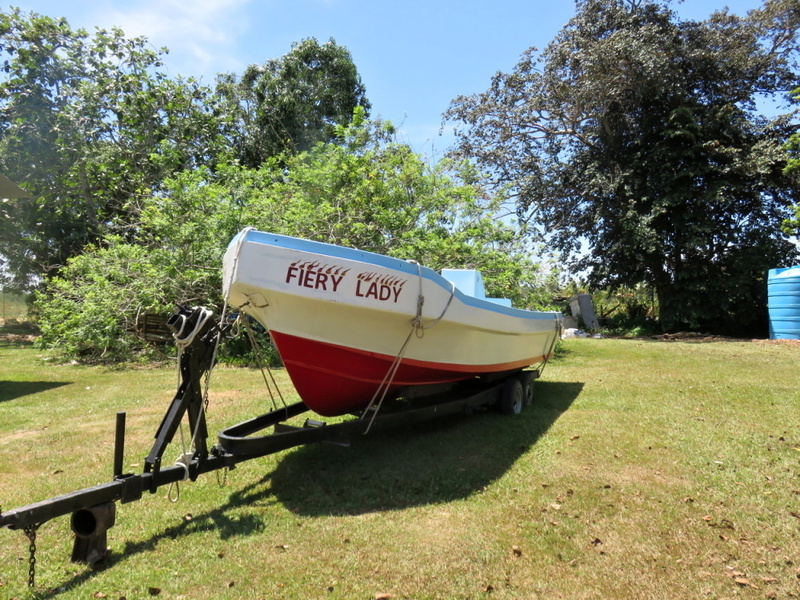 So with this trip down to Hopkin’s Mango Festival, we rented a car and stopped…quite a bit. Let me show you where (and add a few things in from previous trips). 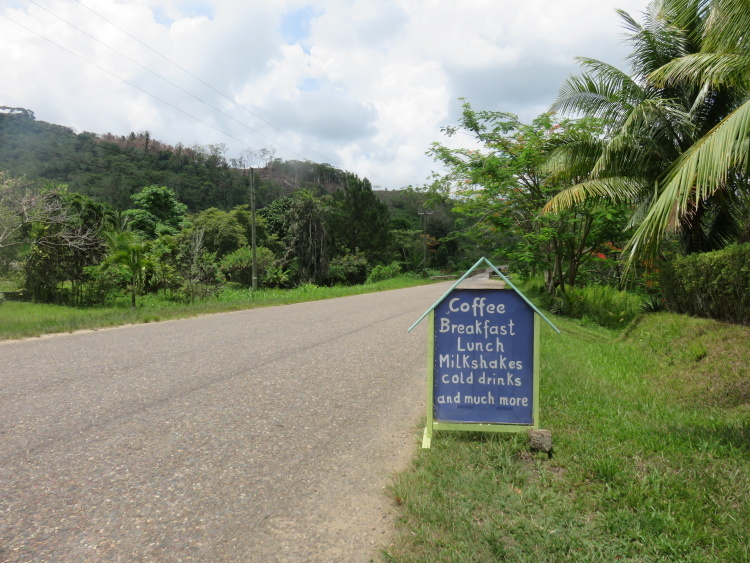 I highly recommend taking this drive and being leisurely about it. If you only have 15 minutes to stop…Why the rush? 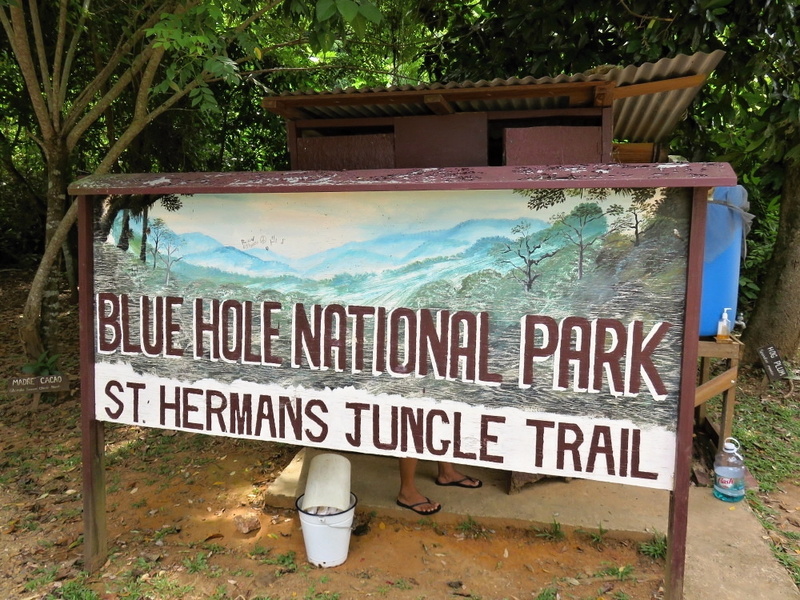 Make sure to walk down to the Blue Hole. 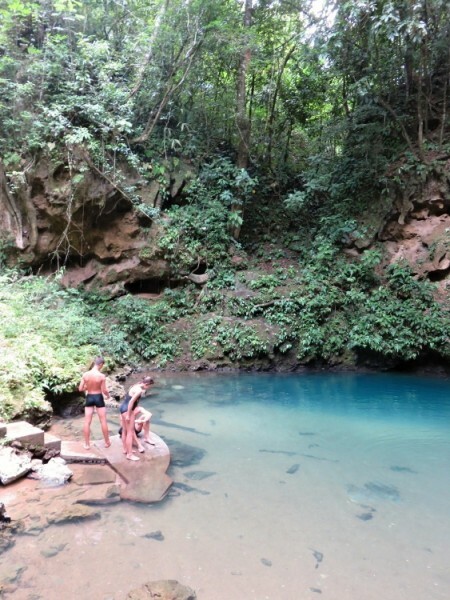 Crystal clear cold water is perfect to cool down. 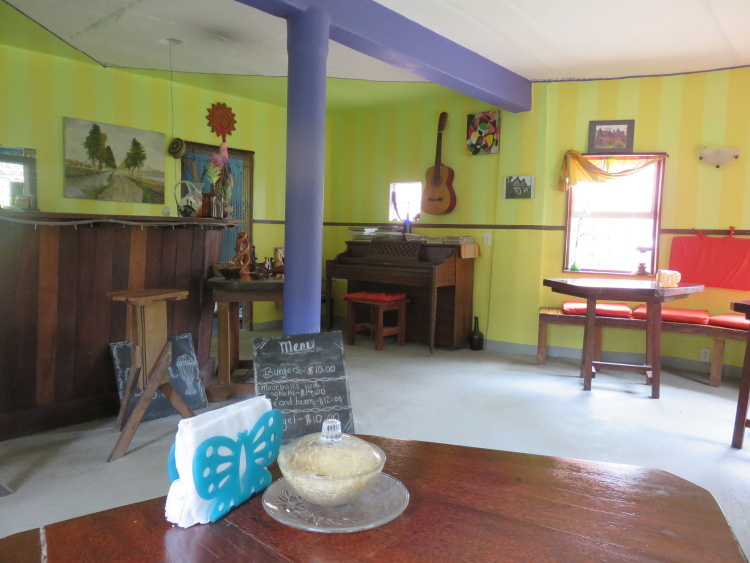 A very small Mennonite shop selling cookies and some pastries. A bathroom break. Though on our trip – both bathrooms were Out of Order. 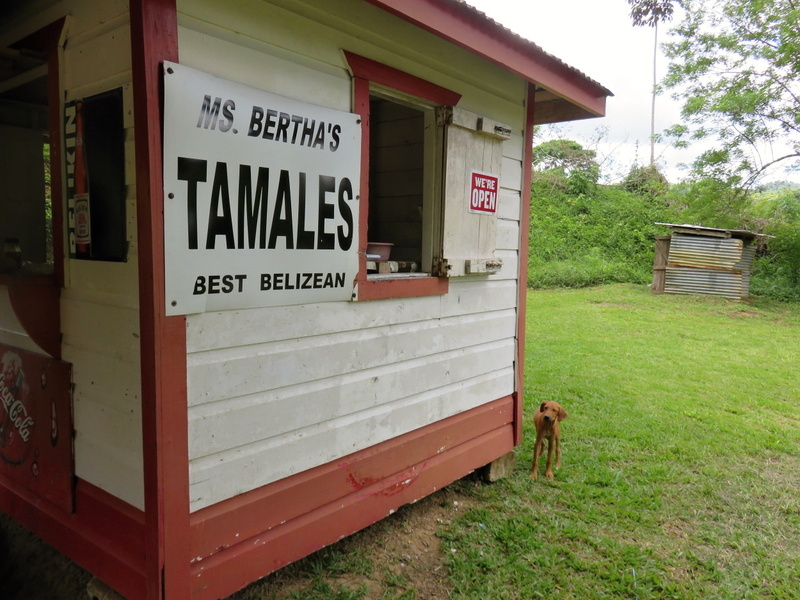 To the food highlight of the Hummingbird, Miss Bertha’s Famous Tamales (Mile 27 in St Margaret’s Village). Miss Bertha, who very recently passed away, was known country wide. Here’s lovely daughter and grand children are continuing the stand with Miss Bertha’s recipe. Only thing offered? Chicken tamales, hot sauce and ice cold sodas. 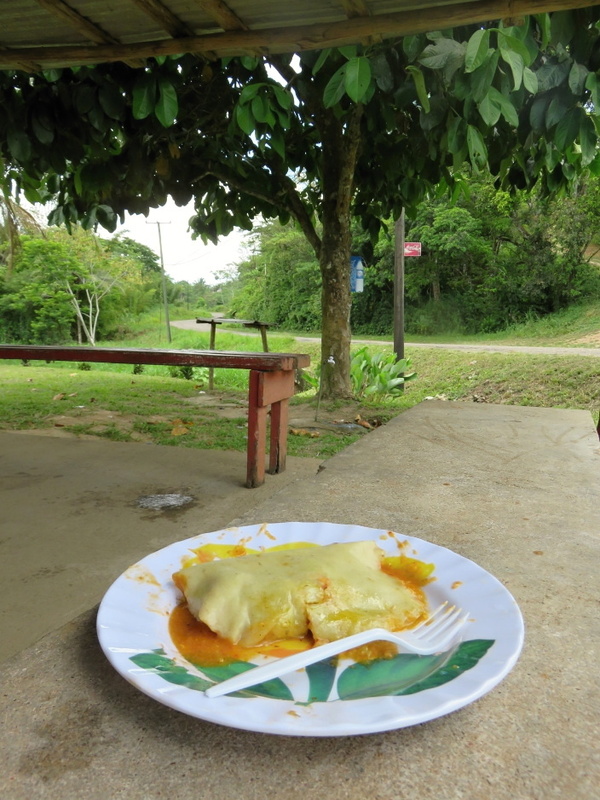 Pair her $2bzd delicious gooey tamale with the fruity fresh HOT habanero sauce and take a seat on the wooden bench. Simple and delicious. Miss Bertha would be proud of her family. 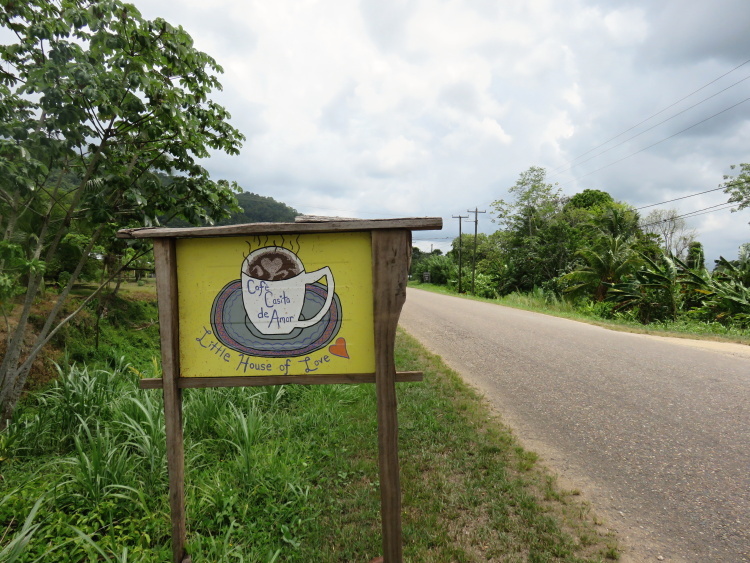 The next place (where we stopped on the way home) was Cafe Casita del Amor at Mile 16.5 in the Steadfast Community. 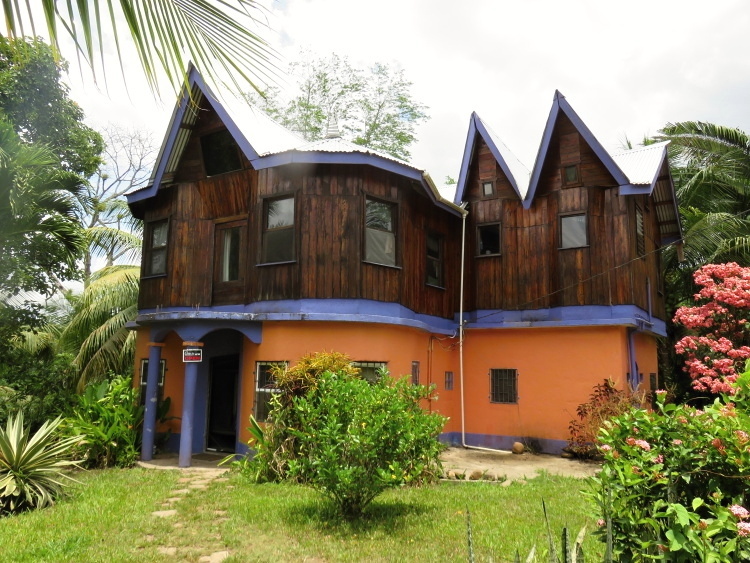 A gothic cottage? This place is both odd and beautiful. We were greeted very warmly by the gentleman behind the counter. He appears to be a bit of a one man show. Things move slowly but the coffee is good and the atmosphere…unexpected. 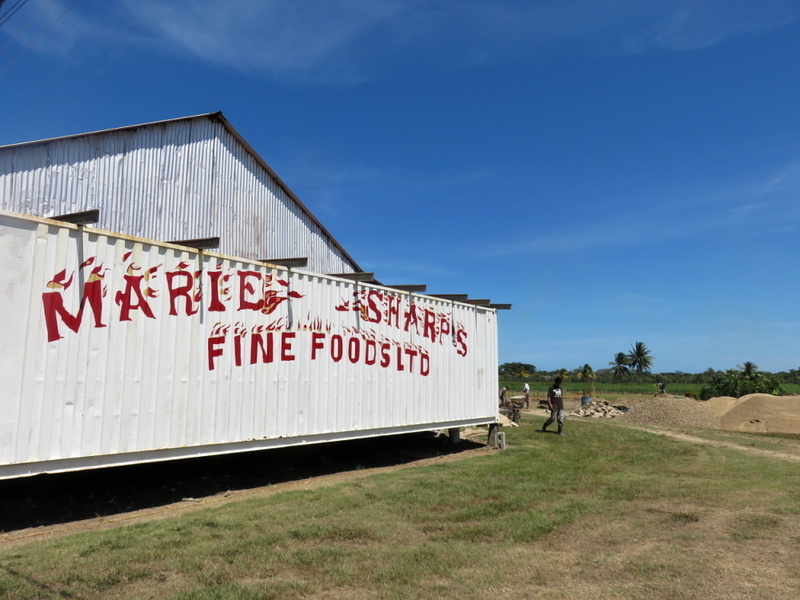 The last stop was the famous Marie Sharp’s Factory and Farm just outside of Dangriga. 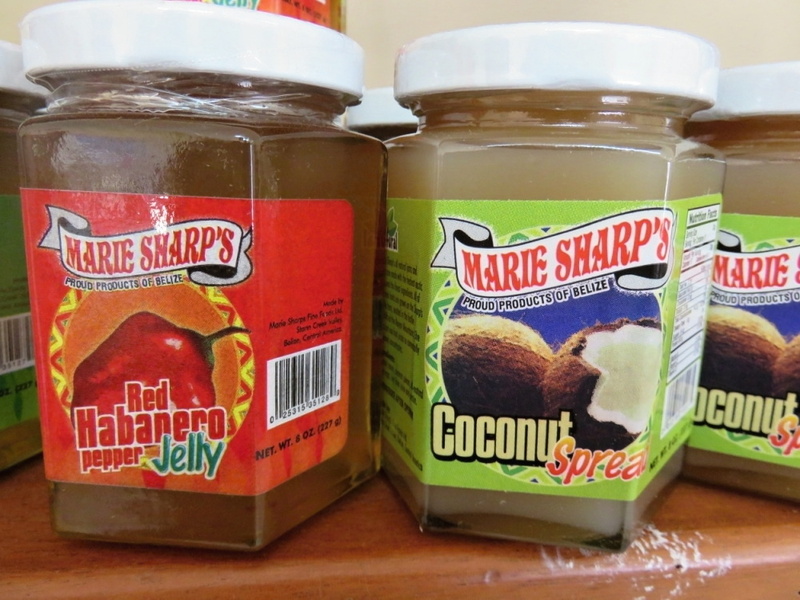 She has been making her own hot sauces, jellies and jams since 1980. 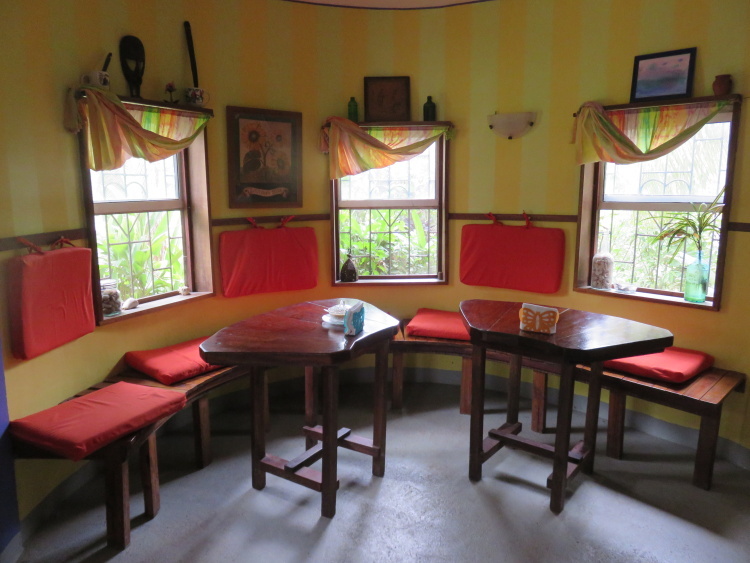 There is at least one bottle of her hot sauce on every table in Belize. 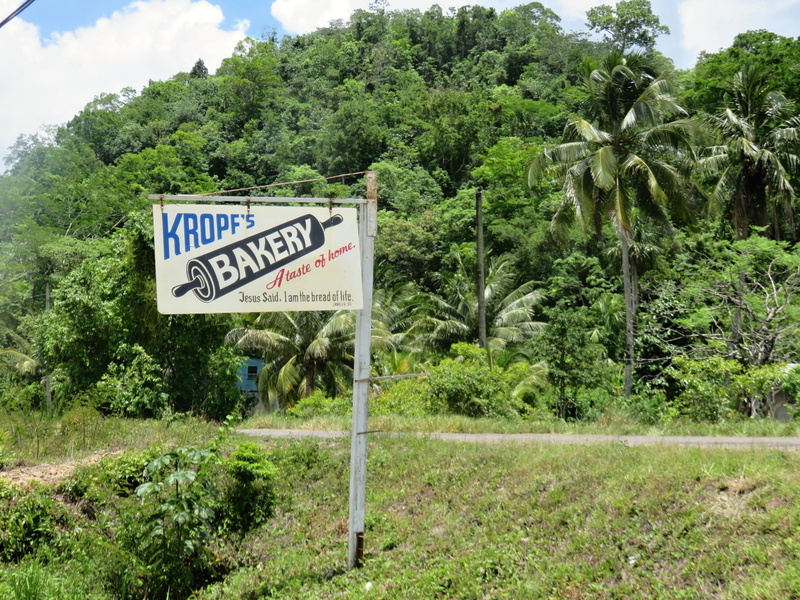 Stop by her factory – you will see the sign – and it’s down a dirt road lined with orange and grapefruit trees – for tasting and a quick tour of the production line. We learned all sort of interesting facts. 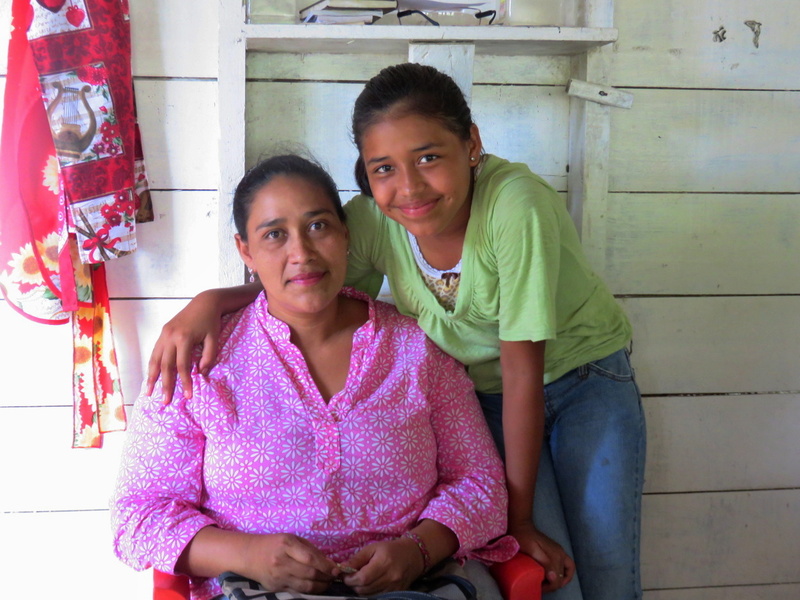 Like Japan and the United States are her biggest markets – NOT Belize. And now they package it especially for Japanese export. 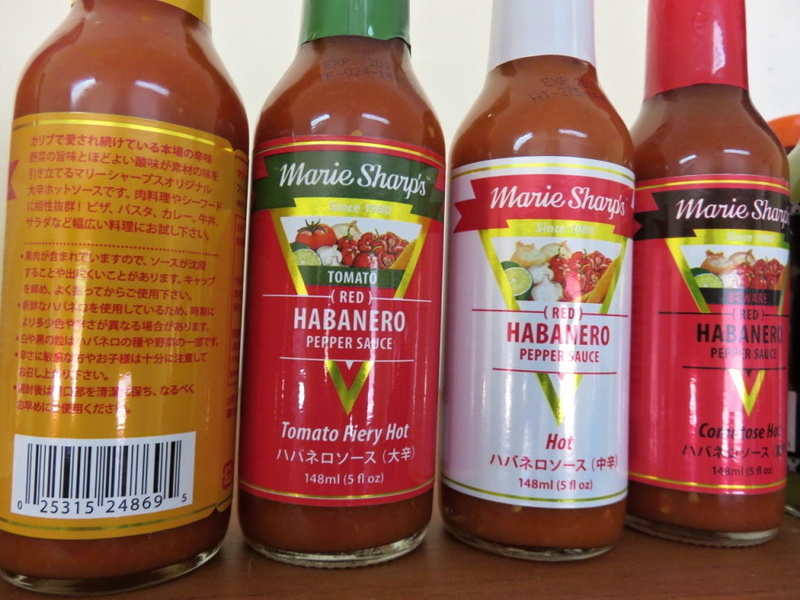 Here is Marie’s Japanese website. I would love a t-shirt. 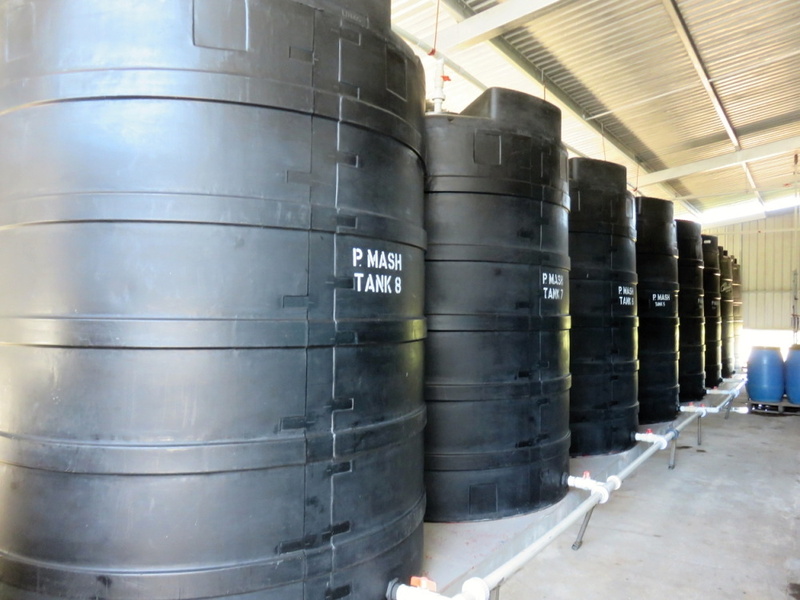 The giant vats of habanero mash. And her newest products just unveiled about a month ago. SMOKED habanero. Chipotle, the smoked jalapeno, is just so…2010. This mild version is DELICIOUS and the bottle is gorgeous. And then touted as the HOTTEST Marie Sharp yet. 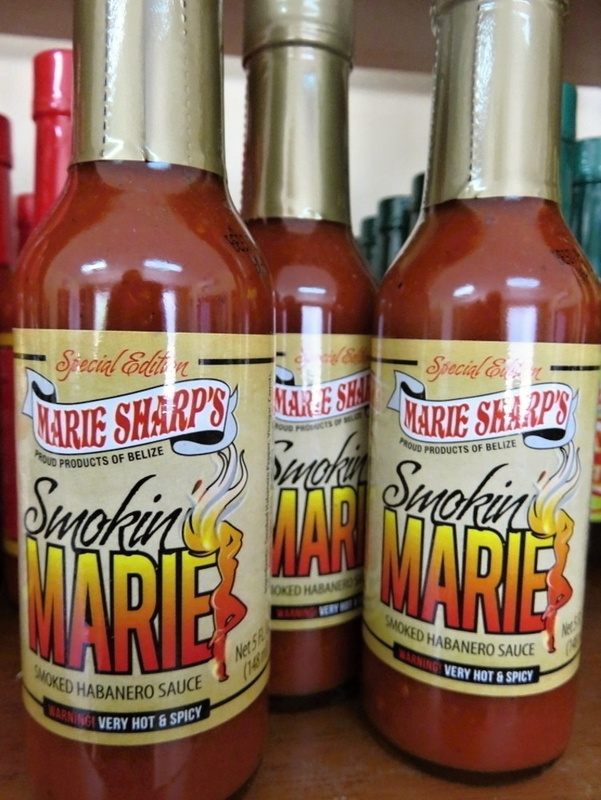 The SMOKING MARIE. I didn’t even dare taste it. 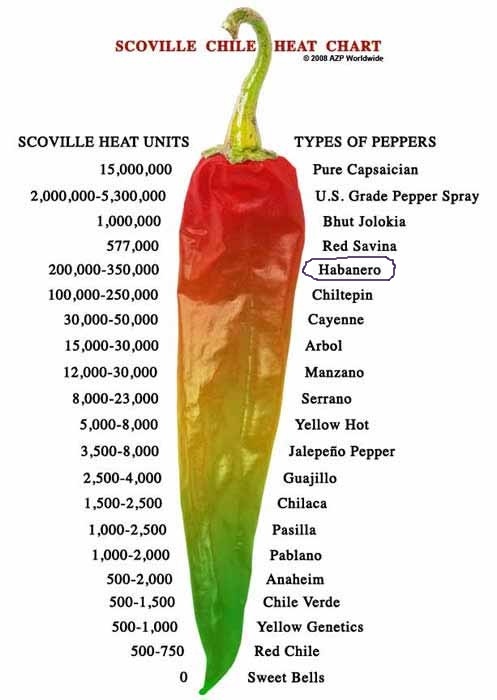 The habanero pepper is no joke. But I did buy some delicious jams. I love the coconut spread and the banana jam, in oatmeal, is divine. It’s just a quick stop but totally worth it. 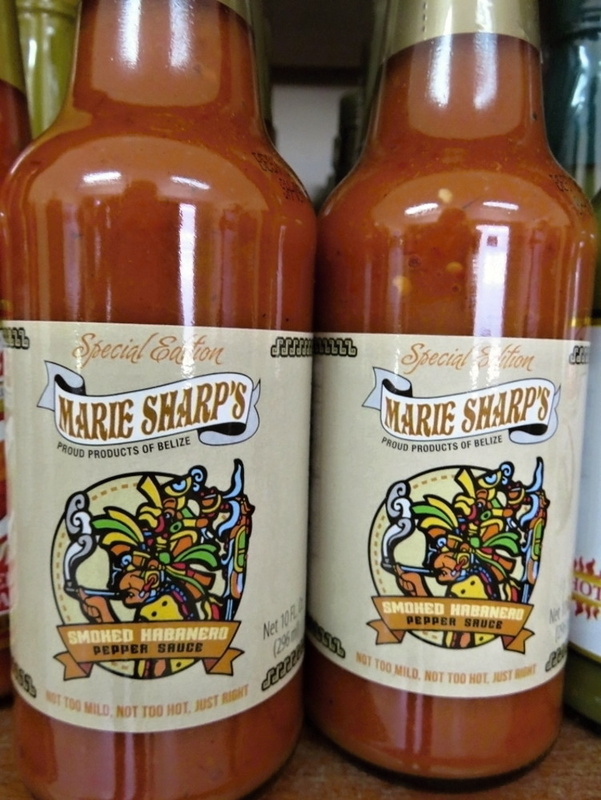 Marie Sharp Is From San Pedro! Who Knew?